It’s 1940 at the Foynes (now Shannon) Airport – a hub of travel in Europe, often the passageway for many American celebrities and political figures. Travelers are struggling to brace themselves for the deep chill outside. Joe Sheridan, the chef of one of the airport’s new restaurants, decides to create a drink to warm his guests who were facing terrible weather. Thus marks the beginning of the Irish coffee. 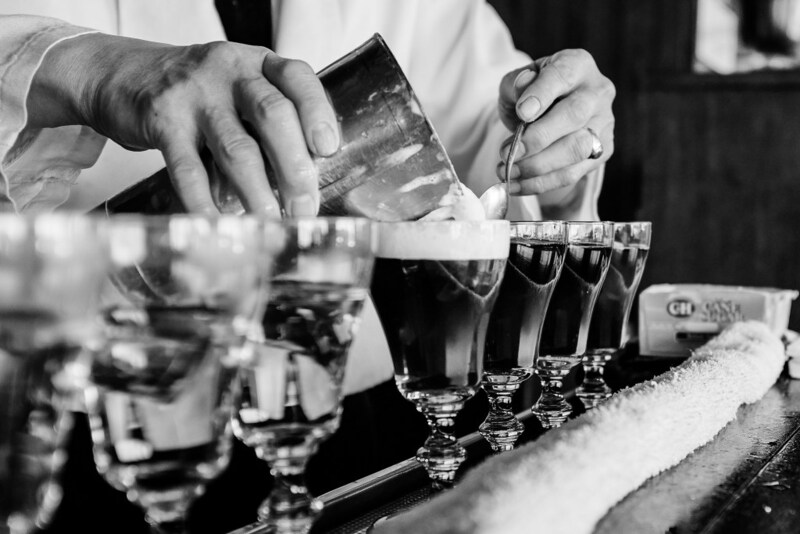 One of the many to try Sheridan’s Irish Coffee was travel writer, Stanton Delaplane. Stanton so loved the drink that he admiringly told of it to Jack Koeppler, then-owner of the Buena Vista in San Francisco. 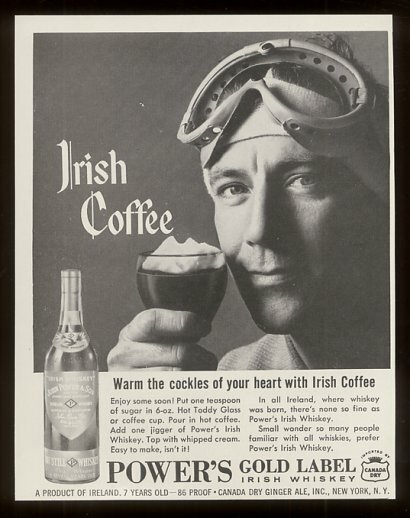 Koeppler and Delaplane spent the night attempting to recreate this Irish delecacy, but struggled with two prominent factors: the taste was not quite right and the cream didn’t float. Eventually, the duo identified Tullamore Dew Irish Whiskey as having the perfect flavor. As for the cream, they sought the advice of city mayor + prominent dairy owner George Christopher. Christopher recommended frothing the cream that had been aged 48 hours. Ever since, the Buena Vista Irish Whiskey is served in a 6-ounce, heat-treated goblet.